This idea is so simple and fun but I somehow never discovered it before. 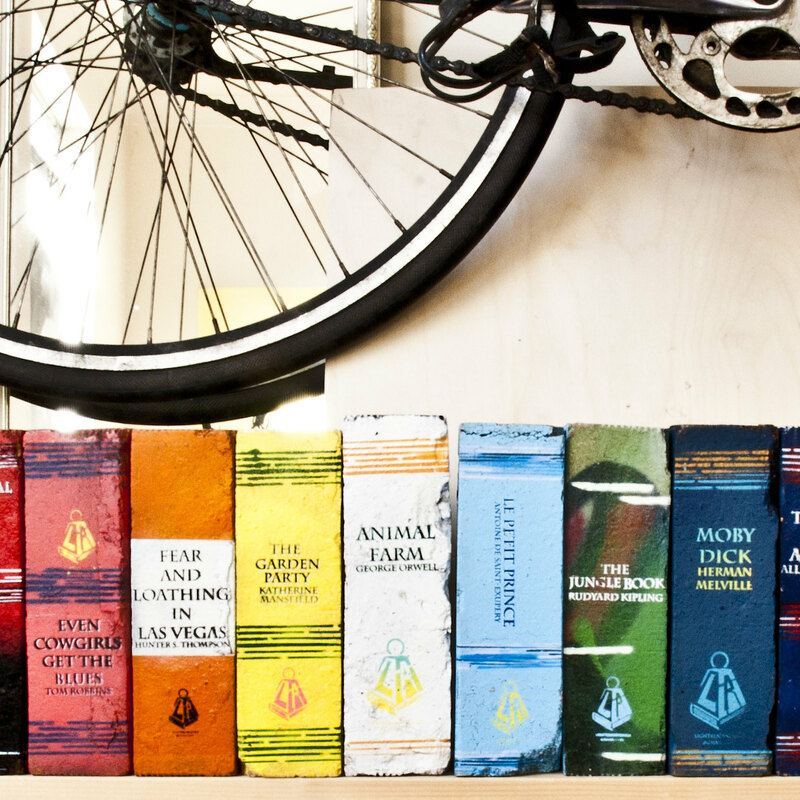 Painted bricks all lined up to look like a book collection. Love it! ...or DIY your own collection. Get some tips from the video tutorial from how to eugene or a pictorial one from KU Alum. Wouldn't these make a fun outdoor accessory? That is kind of amazing! These would be brilliant for making brick-and-plank bookshelves! These would be so much fun to make, and kids could even help! I love how they are a little sophisticated looking, but also a little silly.